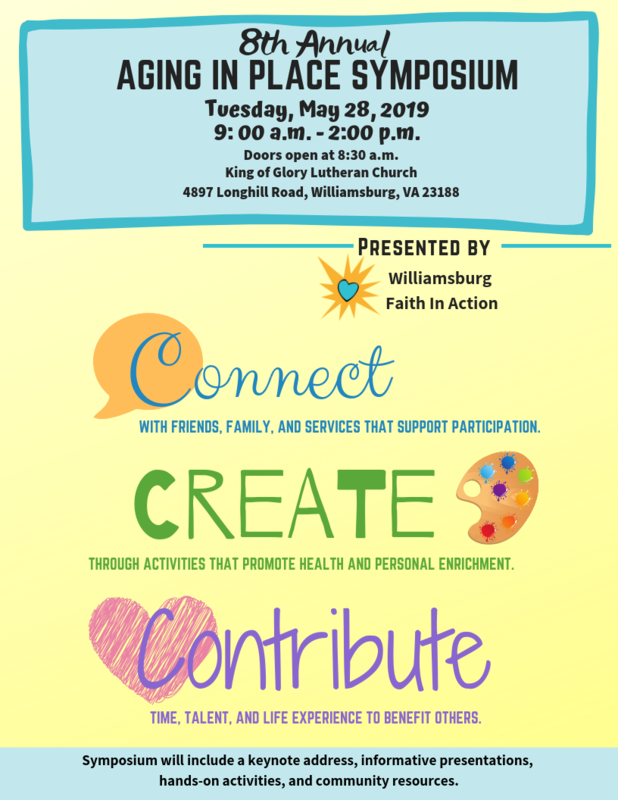 Join Us on May 28th! Thank you for your interest in our 8th Annual Aging In Place Symposium! Check out the flyer below for more information about this event! Registering is EASY! Click the link below and. follow the prompts to register online! 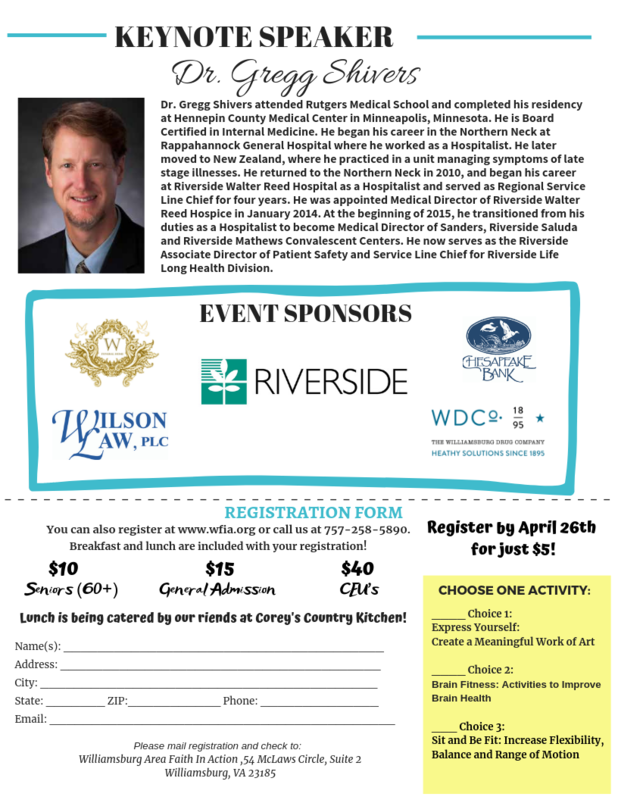 Early bird registration ends April 26th! Breakfast & Lunch are included with your registration. Register now for JUST $5! Click here for more details and paper registration form! Want to be a vendor, Click here now!